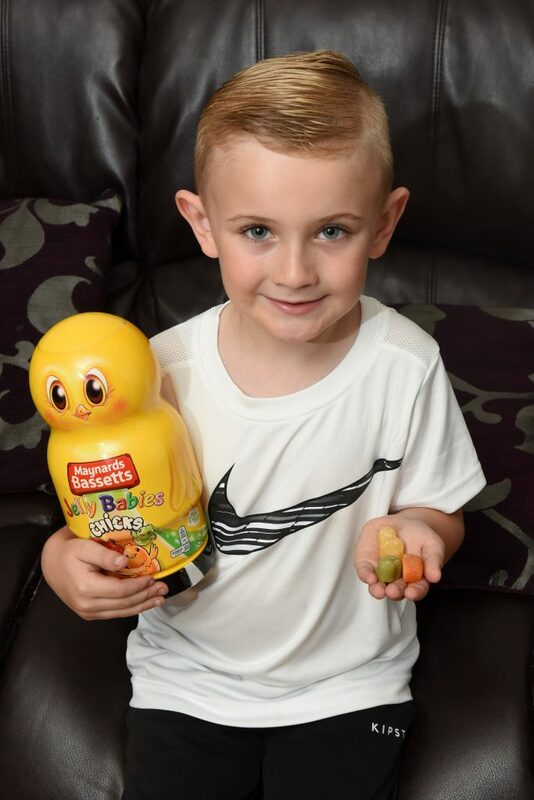 A brave six-year-old saved his great-grandad’s life when he slipped into a diabetic coma – by feeding him JELLY BABIES. 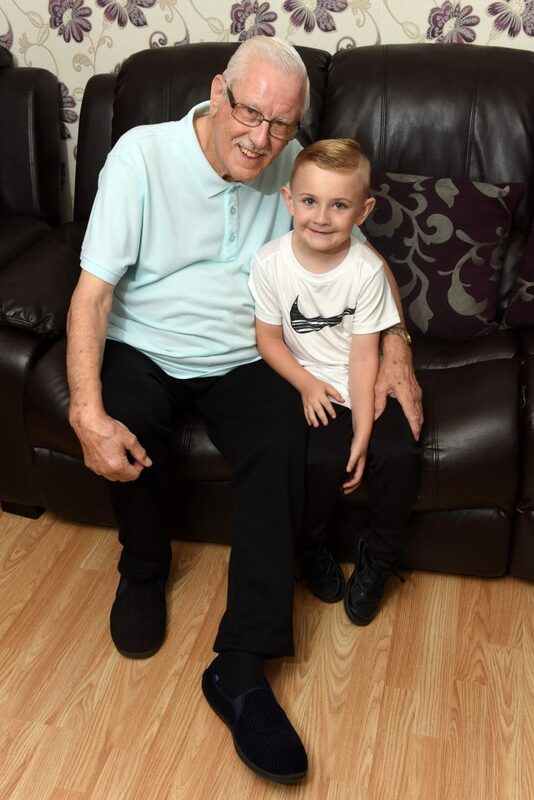 Last Saturday [July 21] young hero Aiden Smith was alone at home in Walsall, West Mids, with great-grandad Brian Clark, 73, when he noticed the pensioner was having a hypoglycaemic attack which had left him unable to move and speak. 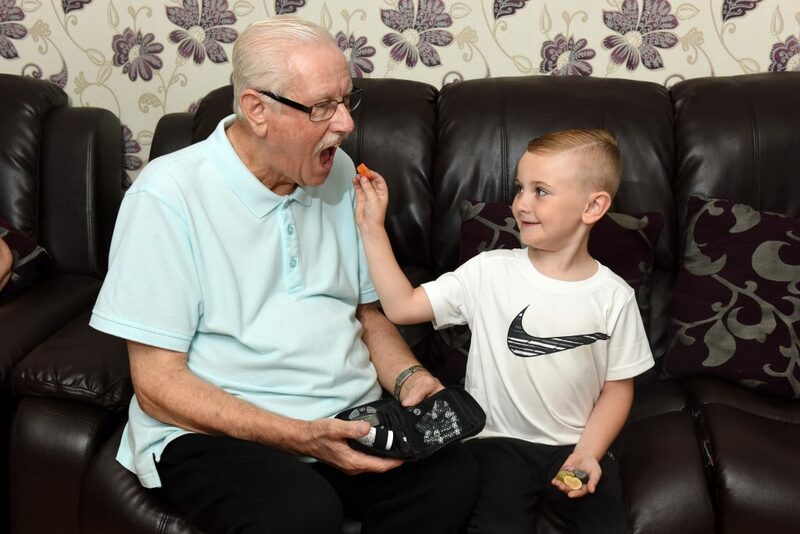 But instead of panicking, primary school pupil Aiden rushed to grab Brian’s finger prick blood sugar testing kit after seeing his great-grandad use it many times before. And when he realised the retired engineer’s blood sugar levels were dangerously low at 1.0, he quickly grabbed some sweets and started feeding him Jelly Babies – saving him from a fatal coma. Grandad-of-three and great-grandad-of-three Brian said: “I am so proud of Aiden, he is so smart. “My wife was out shopping so it was just us in the house. “Suddenly I realised I wasn’t well but I couldn’t move and couldn’t say a thing. “Aiden had watched me measuring my blood sugar every day so he knew how to use it. “Then he ran and got the Jelly Babies and quickly put a couple in my mouth. “He was very calm, it took me about ten minutes to come around. Aiden usually spends the weekends with his Brian and great-grandma Sandra, 70 – but on Saturday he was alone with his great-grandad. After feeding the pensioner, who has had type two diabetes for the past 30 years, two Jelly Babies and giving him a Lucozade to drink, he tested his blood sugar levels again. Within 10 minutes they had gone up to 3.6 and Brian was feeling much better by the time Sandra came home soon after – meaning Brian avoided a hospital visit. Sandra said: “I was really shocked. “I couldn’t have done much even if I’d known what wasn’t happening as I was out of the house. 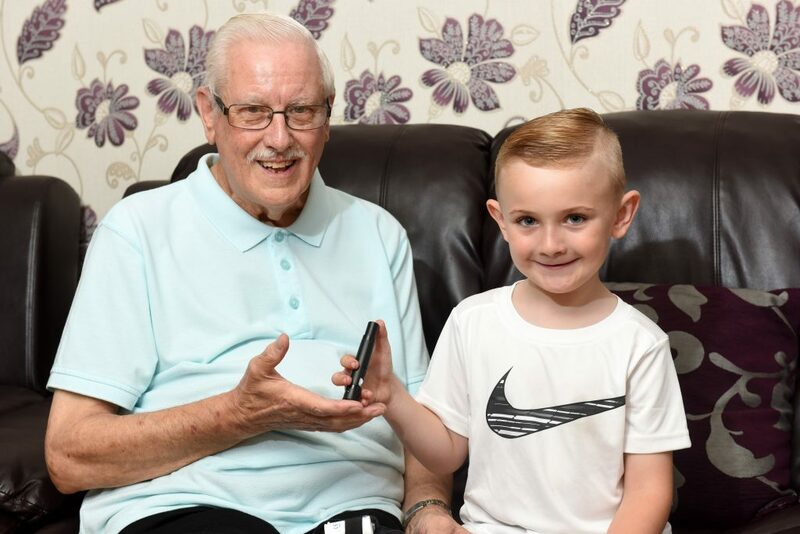 “Aiden has watched his grandad do use the finger prick tester so many times, so he knew how it worked. Aiden – who has previously suffered from asthma attacks himself – now dreams of being a paramedic. Mum Hayley Farren, 27, a sports coach, said: “He has never had any first aid training, we have all been watching my grandad for years and we just know what to do, so he did it automatically. “His brain is like a sponge, he absorbs everything. “I don’t think he even realised how important it was what he did. He saved grandad’s life, he would definitely be in a coma if it wasn’t for Aiden. 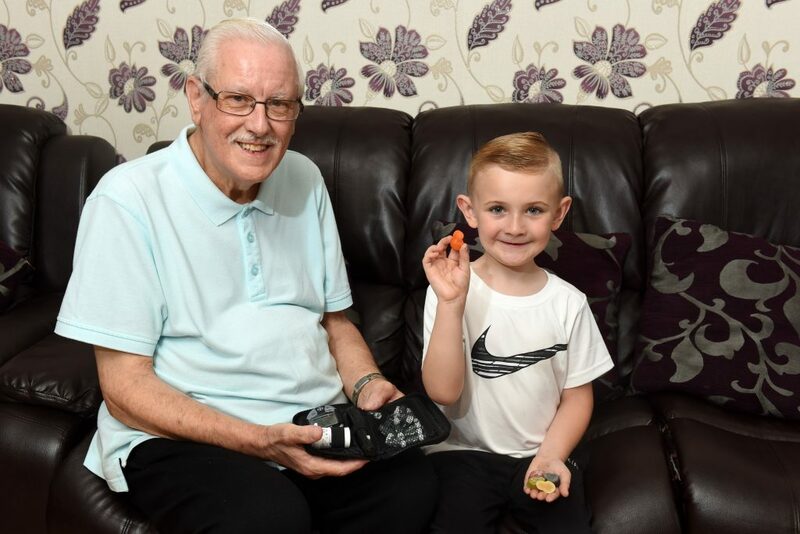 “We have all watched grandad for years measuring his blood sugar so we’d all know what to do but this was the first time someone actually had to do it. “He’s a shy little boy and so clever. “I can’t wait for him to go back to school, hopefully they’ll do something as a reward for him. “I am so proud of him – for a six year old to do all this, it’s a big deal. “My grandad would definitely had gone into a coma and could have died if it wasn’t for Aiden. “His exact words to his grandmother when she came back were: ‘I checked grandad’s blood, he ok now nanna’. “He’s such a sweet, loving little boy, he always thinks about others more than himself.